(e) the measures taken/being taken by the Government to check/control the increasing level of pollution and improve the air quality along with the funds provided for the purpose during each of the last three years and the current year, State/UT-wise? (a) Ambient air quality is being monitored at 731 locations covering 312 cities/towns in 29 States and 6 Union Territories across the country under National Air Quality Monitoring Programme (NAMP).The ambient air quality data for million plus cities including Delhi and Bengaluru is attached at Annexure-I. Analysis of data shows that SO2 levels were within the National Ambient Air Quality Standard (NAAQS) in all 43 cities during 2015-17. With respect to NO2, 14 cities showed an increasing trend, 14 cities showed a decreasing concentration, 14 cities showed a fluctuating trend and 1 city revealed steady concentration. With respect to PM10, 14 cities showed an increasing trend, 8 cities showed a decreasing concentration, 21 cities showed a fluctuating trend. With respect to PM2.5, trends are available for 15 cities and out of 15 cities, 05 cities showed an increasing trend, 04 cities showed a decreasing concentration, 06 cities showed a fluctuating trend. (b) & (c) The World Health Organization (WHO) released the WHO Global Ambient Air Quality Database (update 2018) which consists of mainly annual means for PM10 and/or PM2.5, covering more than 4000 human settlements in 108 countries for the years 2008 to 2016. 14 cities of India namely Kanpur, Faridabad, Gaya, Varanasi, Patna, Delhi, Lucknow, Agra, Gurgaon, Muzaffarpur, Srinagar, Jaipur, Patiala & Jodhpur are included in the list of 20 cities which have recorded high levels of PM2.5. These cities in WHO Database do not report pollution on all parameters. Studies have been conducted to identify major air pollution sources (mainly NOX, PM10 and PM2.5) and their contributions to ambient air pollution. Major air pollution sources include road dust suspension, vehicles, garbage burning, construction, DG sets, industries, etc. are. Details of these studies are given in Annexure II. (d) The Central Government has notified a Comprehensive Action Plan (CAP) for prevention, control and mitigation of air pollution in Delhi and NCR. 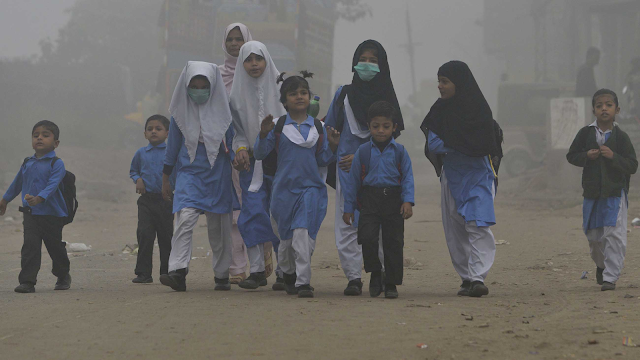 The Central Government has also finalized National Clean Air Programme (NCAP) under the Central Sector “Control of Pollution” Scheme as a long-term time bound national level strategy to tackle the increasing air pollution problem across the country in comprehensive manner. The overall objective is to augment and evolve effective ambient air quality monitoring network across the country besides ensuring comprehensive management plan for prevention, control and abatement of air pollution. The NCAP focuses on collaborative and participatory approach comprising all sources of pollution and coordination between relevant Central Ministries, State Governments, local bodies and other stakeholders. Hundred and two (102) non- attainment cities have been selected for formulation and implementation of city specific action plan under NCAP. In addition, NCAP has many peripheral components viz. Technical Assessment Cell, technology support, sharing of international best practices, awareness and capacity building, source apportionment studies, plantation drive, intensive inspection drive etc to support the time bound implementation of NCAP. “Pariyayantra”filtration units deployed in buses, (ii) Evaluation of Wind Augmentation Purifying Units (WAYUs) at traffic intersections for pollution abatement in Delhi and (iii) Control of dust emission at test sites to arrest construction/road dust using dust suppressant. (e) The measures taken/being taken by the Government to check/control the increasing level of pollution and improve the air quality inter alia, include notification of Graded Response Action Plan for different levels of air pollution in Delhi and NCR; notification of National Ambient Air Quality Standards; setting up of monitoring network for assessment of ambient air quality; introduction of cleaner / alternate fuels like gaseous fuel (CNG, LPG etc. ), ethanol blending, launching of National Air Quality index; universalization of BS-IV from 2017; leapfrogging from BS-IV to BS- VI fuel standards since 1st April, 2018 in NCT of Delhi and from by 1st April, 2020 in the rest of thecountry; notification of Construction and Demolition Waste Management Rules; banning of burning of biomass; notifications regarding ‘Mandatory Implementation of Dust Mitigation Measures for Construction and Demolition Activities for projects requiring EC’ and ‘Mandatory Implementation of Dust Mitigation Measures for all Construction and Demolition Activities’; notification of Construction and Demolition Waste Management Rules; promotion of public transport network; streamlining the issuance of Pollution Under Control Certificate; issuance of directions under Section 18(1)(b) of Air (Prevention and Control of Pollution) Act, 1981 and under Section 5 of Environment (Protection) Act, etc.State-wise details of funds released to various Monitoring Agencies during last three and current years for ambient air quality monitoring as operational and maintenance cost under National Air Quality Monitoring Programme (NAMP) is given at Annexure-III. NB. NA- no monitoring station in the city, @ -monitoring station sanctioned but not yet operational, ‘-‘ data not received, National Ambient Air Quality Standard (NAAQS) for Residential, Industrial, Rural and others Areas (Annual average) for SO2 = 50 µg/m3, NO2 = 40 µg/m3, PM10 = 60 µg/m3 & PM2.5 = 40 µg/m3 and SO2 = 20 µg/m3, NO2 = 30 µg/m3, PM10 = 60 µg/m3and PM2.5 = 40 µg/m3 for Ecologically sensitive area. The data furnished in the table for year 2017 is as available on date. Note:- SPCB – State Pollution Control Board, SEP&PCB – State Environment Protection & Pollution Control Board, EP& PCB – Environment Protection & Pollution Control Board, PCC – Pollution Control Committee. NEERI is at present monitoring in 6 cities in 5 different states/Union territories namely Delhi, Maharashtra, West Bengal, Tamil Nadu and Andhra Pradesh.